The versatility of paneer never ceases to amaze me! 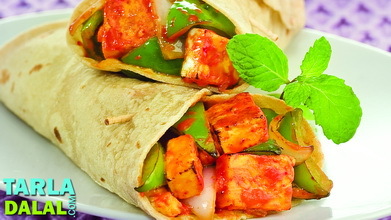 cooking the paneer in this lip-smacking marinade imparts a delicious feel to the wrap. 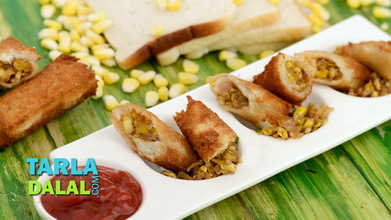 The salads as well as the special garlic aioli sauce spread on the paneer make this worthy of a connoisseur's attention. 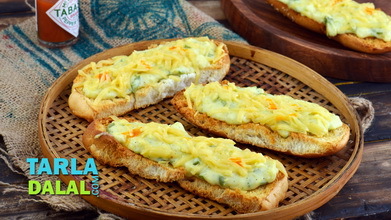 Combine all the ingredients in a bowl and knead into a soft dough using enough water. Keep aside. 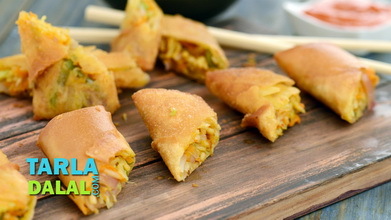 Divide the dough into 4 equal portions and roll out each portion into 200 mm. (8”) diameter circle using a little flour. Heat a non-stick tava (griddle) and lightly cook the rotis on both the sides. Keep aside. 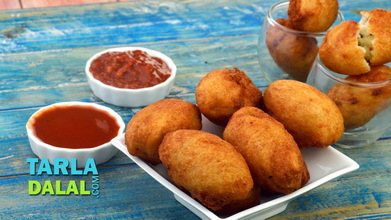 Combine the paneer cubes, onion cubes, capsicum cubes and the marinade in a bowl and toss gently. Keep aside to marinate for 15 to 20 minutes. 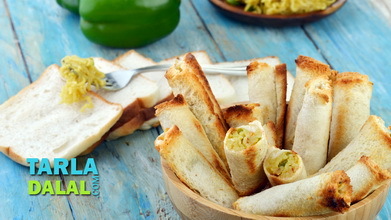 Heat a non-stick tava (griddle) and cook the marinated paneer and vegetable filling on a medium flame for 8 to 10 minutes. Keep aside. 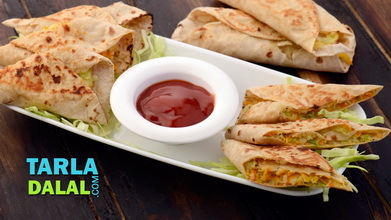 Just before serving, warm a roti on a non-stick tava. 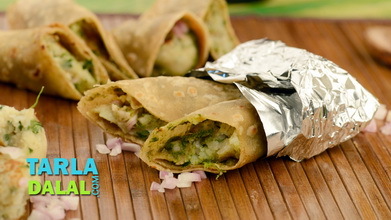 Place the roti on a clean dry surface and place 1/4th of the paneer and vegetable filling in a single row in the centre of the roti. Arrange 1/4th of the cabbage over it. Sprinkle 1/2 tsp of chaat masala and 1 tbsp of cheese over it. Finally spread 2 tbsp of garlic mayo over it and roll up the roti tightly. Repeat with the remaining ingredients to make 3 more rolls.